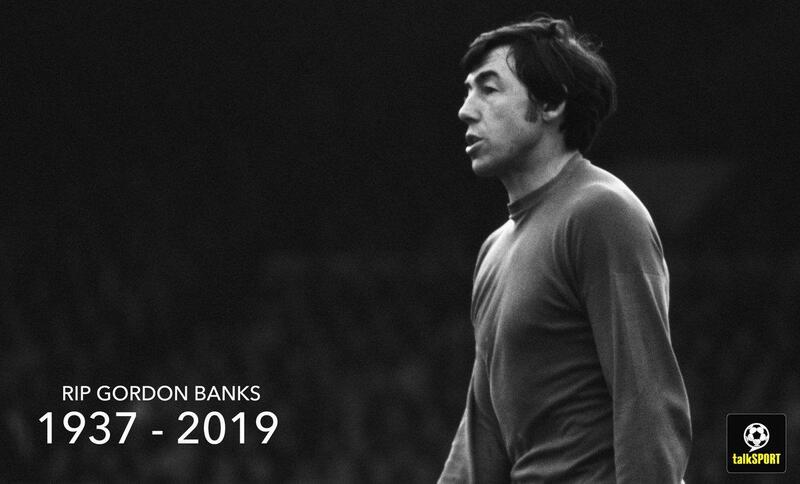 England legend Peter Shilton has paid an emotional tribute to World Cup-winning goalkeeper Gordon Banks, who has sadly died at the age of 81. It was announced on Tuesday the iconic gloveman had passed away peacefully overnight. Banks, who played most of his club career for Leicester City and Stoke City, was named FIFA goalkeeper of the year six times and earned 73 caps for England. He is regarded by many of one of the greatest goalkeepers of all time, and will be as remembered for his iconic save against Pele in the 1970 World Cup in Mexico as his role in England’s famous ’66 win. Shilton – England’s most capped player with 125 appearances – played as number two to Banks at Leicester and England during his early career. “It’s so tragic and I’m in shock really,” he told talkSPORT on Tuesday morning. “I know Gordon wasn’t particularly well recently, but that he’s passed away is a big shock. “As a youngster at Leicester and supporting Leicester, he was my hero. “I had a spell with him at Leicester for a year or so, I played under him at Leicester and under him at England, too. “He was an unbelievable goalkeeper in that era and will always be remembered for the World Cup win and also that save against Pele. “I really want to pay tribute to Gordon. “I always say the thing about Gordon was his positional play was superb, he always had plenty of time to save shots. “He was a really nice fella, he was a gentleman. All the ‘66 lads were, they were all good characters.